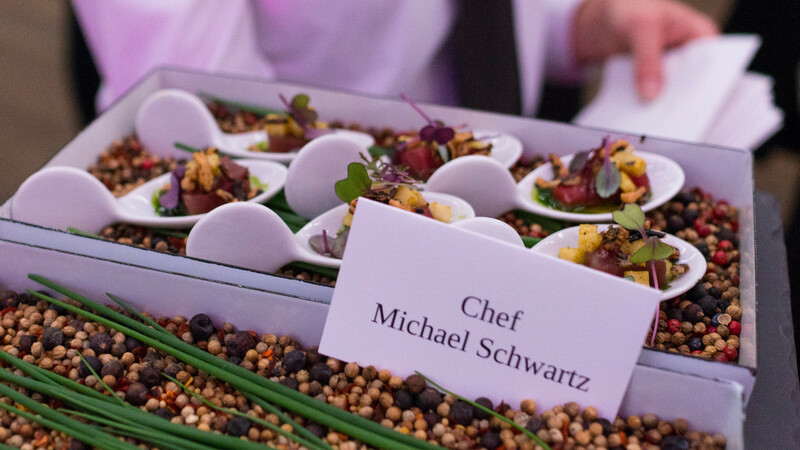 It was more than three years ago that Lee Schrager – grand poobah of the South Beach Wine and Food Festival – joined us as a guest along with Andrew Zimmern for a Cobaya dinner featured on Zimmern's show, Bizarre Foods. A seed was planted then that took a while to germinate, but emerged in full bloom this past Friday. 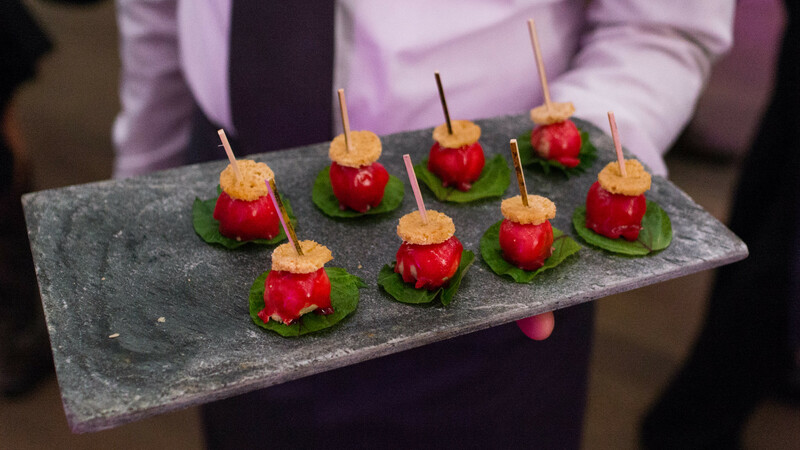 We nearly did a dinner with the SoBeFest last year, but it didn't quite come together. This time around, all the pieces fell into place: Lee Schrager and the SoBe folks helped round up a great group of chefs and a gorgeous setting (at the Perez Art Museum Miami, which I think is one of Miami's most stunning pieces of architecture), and Andrew Zimmern did double duty as both chef and unofficial curator of the dinner lineup, which included Chris Cosentino (of San Francisco's Cockscomb), local hero Michael Schwartz (of Michael's Genuine), Makoto Okuwa (of Makoto in Bal Harbour, and an alumnus of Cobaya #32), and Kaytlin Brakefield (of Verde restaurant at PAMM). 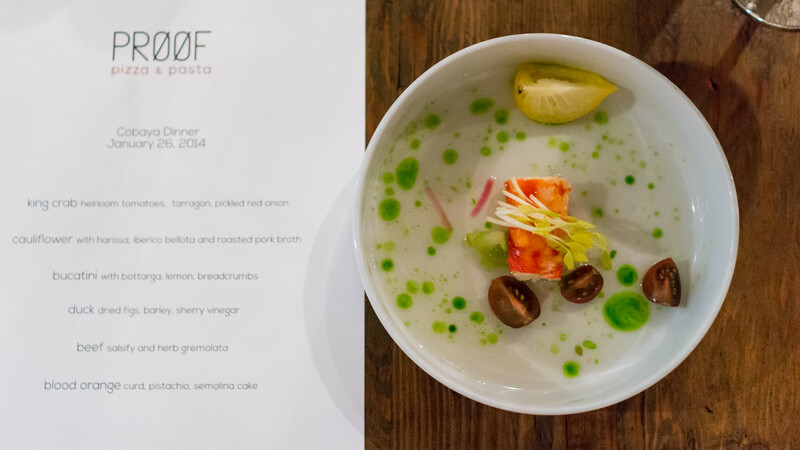 Though we couldn't follow our usual modus operandi of "Here's the date, here's the price, everything else is a surprise," this group put together an outstanding dinner that was still very much in the Cobaya spirit. 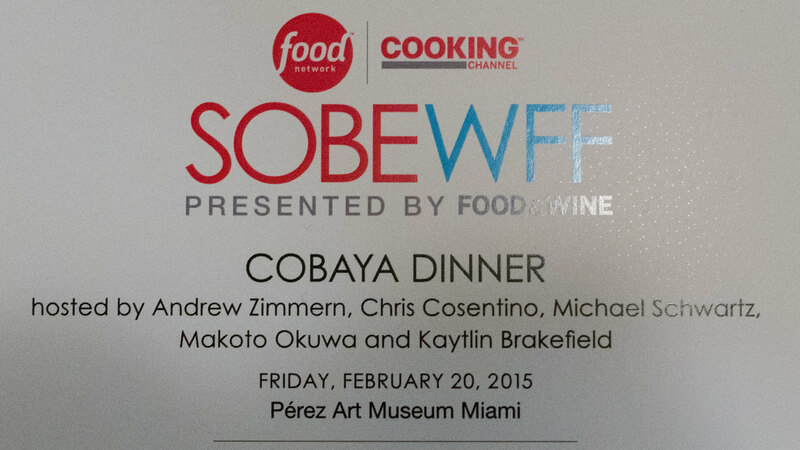 (You can see all my pictures in this Cobaya SOBEWFF flickr set). 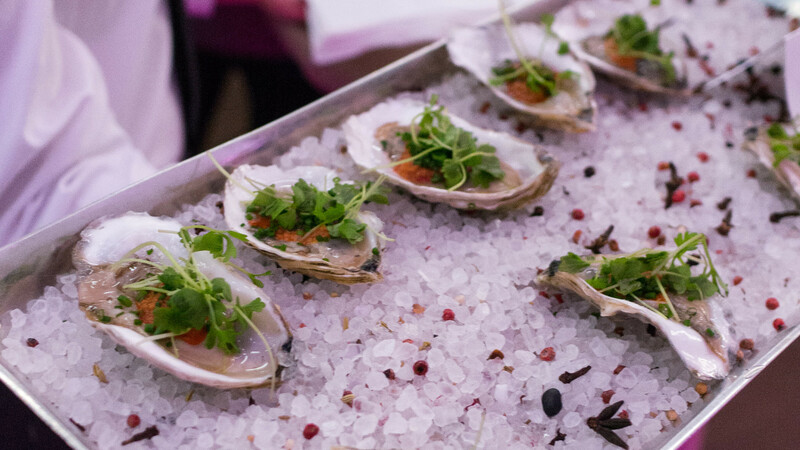 As guests arrived, each chef had prepared a passed appetizer for a reception in the PAMM lobby: local tuna with puffed wild rice, pickled kohlrabi and tangy "green juice" from Michael Schwartz; sweet Island Creek oysters topped with a smoky, funky n'duja vinaigrette from Chris Cosentino; hamachi crudo with tomato, cucumber and basil from Kaytlin Brakefield; foie gras bonbons with a shiso cake and a neon-bright, cherry-red yamamomo berry glaze from Makoto, a great one-bite wonder; and haystacks of carciofi alla giudia (Jewish style fried artichokes) with a zippy aioli from Andrew Zimmern. 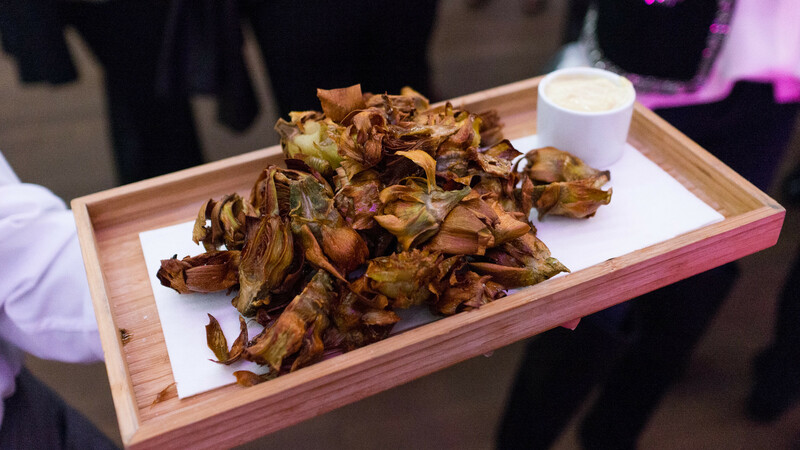 When we first saw a preview menu, I was a bit surprised to see this was Zimmern's chosen dish: the champion of food exotica doing something as pedestrian as fried artichokes? Then I tried them and I understood: crisp, browned petals giving way to that grassy artichoke flavor, cut through by a creamy but high-acid sauce? Sure, I'll have another. This is really why we do it. Justin Flit and Matt DePante are a couple guys you probably haven't heard of. But Justin spent years as the sous chef at Bourbon Steak, and Matt had the same role at another of Miami's top restaurants, The Dutch. And you might not expect much from their new restaurant, Proof Pizza & Pasta, by the name, anyway. It seems like a pretty simple place, with a short menu of mostly – you guessed it – pizzas and pastas. 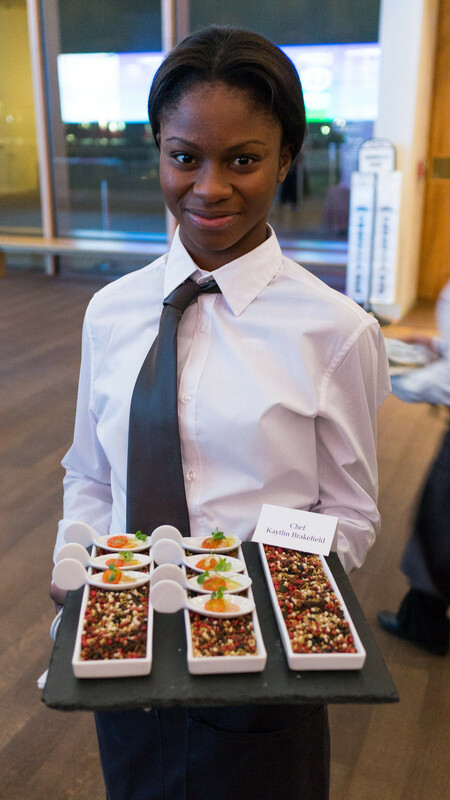 But these two – who met at the French Culinary Institute (now the International Culinary Center) and both worked in New York before finding their way down to Miami – can flat out cook. The restaurant exceeds expectations, serving some of the best pastas I've had in Miami (you can see some pictures from a regular dinner at the restaurant here). And when we talked to them about doing one of our Cobaya dinners, I had a high degree of confidence they'd do it right. Actually, both are veterans of a couple Cobaya dinners themselves: Justin was in the kitchen at Bourbon Steak for Experiment #6, as was Matt for Experiment #24 at The Dutch. So they know the drill. My confidence was rewarded: Justin and Matt and their team at Proof put together a really exceptional meal on all fronts: food, service, pace, atmosphere. (You can see all my pictures in this Cobaya Proof flickr set).